This drawing is so many kinds of wrong. 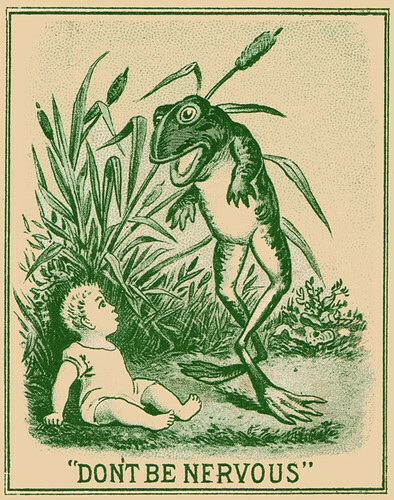 From the kid's hairdo to the frog standing upright, this image is designed to unnerve you. That plus the inescapable idea that the frog is going to start singing "Hello my baby, hello my honey, hello my ragtime gal..."
Without a doubt you are on my bucket list of people to have dinner with. But only if no one else is watching.